Please have the Item Description Name, Item #, Size and Credit Card Info Available. Calls are taken (7) days a week. If we are Unavailable, Please Leave a message. We try to return all calls the same day or within (24) hours. Storewide Sale with Savings Up to 60% off Regular Prices. Do Not Count Shipping, Gift Wrapping or PA Taxes if Applicable. Offers are for Merchandise Only. If You are Close to the Amount Needed Check Our Jewelry Accessory Page for Inexpensive Items. For Help with Ring Sizes - See the Bottom of our FAQ Frequently Asked Questions Page for a Ring Size Chart. Ships via the U S Postal System Normally from Zip Code 19047. We can not be Held Responsible for Delays by the Postal System. Use the Pay Pal Credit Button at Checkout to Apply for a 0 % Deferred Payment Account with Pay Pal. Account Will be Totally Between Pay Pal and the Applicant. We Do Not Assume Any Responsibility or Liability for Your Choice to Open an Account With Them and the Applicant is Subject to Any Terms and Conditions Required By Pay Pal. Any Issues or Disputes Regarding the Account Will be Between Pay Pal and the Applicant. Pay Pal Credit - If You Would Like to Spread Your Payments Out Over (6) Months Interest Free, Select - Pay Pal Credit - at Checkout. You Can Apply For a Pay Pal Account for the Deferred Payment Option. Subject to Rules & Regulations of Pay Pal Account. Disclaimer: Pay Pal Credit is a Separate Company and Not Part of Classic Design Jewelers, LLC.. Any Problems, Disputes, Etc Will be Handled Directly with Them. Postal Money Orders - We are Now Accepting Postal Money Order Payments. You can order Online. Check Money Order Under the Payment Type at Checkout. We Will Then Send Your Payment Instructions via Email. Please Place your order before sending any Payments so we Have Your Item(s) Set Aside, so That you are Sure Your Item Will be Available. Re-Shipping Charges will be Billed in the Event an Order is Returned to us for Incorrect Address or Not Picked up by the Buyer. USPS - 1st Class Mail - Average Delivery time is 4-5 Business Days (From Date Shipped) - Some areas May Require longer Delivery Time. USPS - Priority Mail - Average Delivery Time Average is 2-3 Business Days (From Date Shipped) some areas may take longer. Delivery Time Not Guaranteed by the Postal Service. USPS - Express Mail - Express Mail - Next Business Days (From Date Shipped) To Most Domestic locations within the Continental United States. Certain Zip Codes & Rural Areas Require a 2 Business Day Delivery Time. Signature Required. If You Want Signature Waived, Please let us know Immediately. This May Void Certain Guarantees Regarding Service Refunds. Pennsylvania - Orders Shipped to Pennsylvania Will be Subject to a 6% Sales Tax. Email or Call us Prior to the Return to Request an RA Number. Return Instructions Will be Sent by Email. Returned Packages Received without Prior Authorization or if the RA is Not on the Return Package, as Instructed, Will be Returned to Sender. Items Must be Received Back to us within (30) Days of Order and Returned In the Original Item Jewelry Box. All Items Must be in the Original Condition - Unaltered, Not Worn, Damaged or Modified in Any Way. Any Item that is Received Back to us Not in the Original Condition, will not Qualify for a Refund. Buyer will be Responsible for the Cost to Ship the Return Item (s) Back to the Company except in certain Circumstances. In the Event of a Refund on Orders that Received Free Shipping - If Buyer Received Free 1st Class Shipping and Wants a Refund for a Return, S & H Will be Deducted from the Refund Amount. If it is a Larger Order That Requires Insurance or Other Postal service, the Actual Shipping Amount Will be Deducted. You May get a Refund for the Cost of the Item(s) Returned Less Shipping & Handling Charges and/ or Gift Wrapping. Refunds and Exchanges are Normally Processed Within (5) Five Business Days. Certain Customized Items Will Not be Returnable - You Will be Notified of Any Return Exceptions when ordering. Your Authorization that You Understand these Terms Will be Requested Prior to your Order Being Processed or Your Credit Card Being Billed. Buyer will be Responsible for the Cost to Ship the Return Item (s) Back to the Company. There Will be a $3.00 Re-Shipping Charge for Exchanges, Which are the Result of the Buyer Ordering the Wrong Size or Wanting a Different Item. In the Event a Second Exchange is Needed, Normal Shipping Charges Will Apply. Exchanges for an Order That Received Free Shipping Normal Shipping and Handling Charges Will be Charged to Re-Ship the Exchanged Item. If There is Nothing Listed Next to the Size it Will be The Listed Price. Example - An item is listed for $24.99 for a 7 Inch- you then see a Different Size that says 8(+5) - When you Check Out the cost for the 8 Inch in the Shopping Cart Will Show $29.99 for that size. If purchasing Gifts for your Bridal Party or a Gift Bought in Advance- Email us and indicate your request if you would like to Shop in Advance. Extensions Will be Made on a Case by Case Basis for Extensions. Please E-mail us for Approval Code. If you need more quantity than is listed, please contact us so that we can try to accommodate your needs. At this time we do not do Engraving for our Online orders. We feel that this gives our Buyers the option to Return items if they are not 100% Satisfied or if the Size Ordered is Wrong. 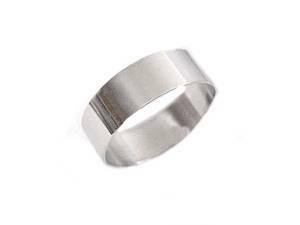 Items that indicate that they can be Engraved, can be done by your local Jeweler or Engraver. At this Time we Offer Selected Items on a Discounted Basis for Volume Orders. Please Call us for Further information. Sorry, but due to Postal Restrictions on Shipping Jewelry to many Countries we Do Not do International Shipping. We do offer Gift Wrapping for an additional charge of $4.00 per Item. Please check the appropriate box at check out and Indicate if you would like a Gift Message Enclosed. We Respect Your Privacy and Do Not Sell, Rent or Give Our Mailing List Information to Other Parties. We Do Not Give your information to Other Parties except for credit card verification or to Comply with Law Enforcement if Required. When a Custom or Special Order is Received we will Give an Approximate Shipping Time. Please be Aware that During Certain Holiday Periods, Delays may be Possible. We Will Update you on Status Should there be a Delay. Do Not use Silver Cleaner on Marcasite Jewelry or Items that are Oxidized (Black Highlighting) It will Remove the Oxidation and Harm your Jewelry. 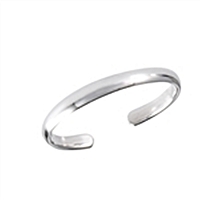 Cuff Bracelets- Always put your Cuff Bracelets on from the Side of Your Wrist. This will Reduce the Constant Strain on it. Silver Jewelry - Clean your Jewelry and Dry. Then Store in a Poly Bag - try to remove as much Air as Possible. This will Help Retard the Tarnishing. 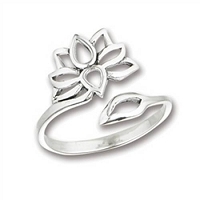 Silver Jewelry Cleaning – If on Vacation or out of jewelry cleaner, clean your sterling silver jewelry with toothpaste and a soft tooth brush for detailed areas. Rinse under warm water and pat dry thoroughly. Allow a little extra room for Toggle Clasps, as they require more space to secure the catch. Using a string or Twine, measure to where you would like the jewelry to hang to, then measure the string. Just Use a piece of string or a thin strip of paper, wrap it around your finger to where comfortable and mark the point where it overlaps, then measure from the end to where you marked the paper or string.